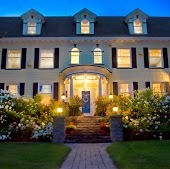 How Can I Go A G Thomson House Bed and Breakfast? Where is A G Thomson House Bed and Breakfast in Duluth on the Map? My wife and I recently stayed at this wonderful B&B for 3 nights in the middle of winter. To say the least this is by far the best B&B I've ever been too. There is a reason they have a 5/5 star rating. All of the rooms are perfectly furnished, very well decorated, and spotless when it comes to cleanliness and maintenance. I even ran my finger over the tops of the window sills and there was nothing. We stayed in the Superior Suit, well worth the money, and it was absolutely incredible. Spacious, luxurious, warm and inviting. It is furnished much like a 5 star hotel. The bed is very soft and inviting, gas fireplace and a large tv, Jacuzzi, shower, kitchen, dishwasher, oh yeah and ALL of the lights are dimmable. This suit is such that you don't feel cooped up because it is quite large in size. The breakfast is all home made and delicious ranging from fancy eggs to Lima beams to the fanciest french toast I've ever eaten. 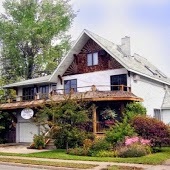 Nothing against any of the other B&B's in Duluth but this place takes the pays very close attention to every fine detail which makes this B&B experience sever notches higher than any other I've experienced. We had an amazing time at the A G Thomson House B&B! The food was delicious, our room was very comfy, and all of the little details were well-thought out and very appreciated. Angie & Tim, the innkeepers, were very sweet and attentive. I loved having 24 hour access to tea, hot chocolate, and cookies. We'll be back! Thanks so much to Tim and Angie for a great B&B experience! Everything that you look for in a great B&B is present at A.G. Thomson: fantastic rooms, great breakfast, cozy home, attention to detail, and wonderful hosts! We will definitely be a repeat customer in the future, and we highly recommend it to everyone! Hands down the best B&B we've ever stayed at! The room was amazing with double whirlpool and and all the amenities. Breakfast in the room was a great touch. Amazing owners Tim and Angie have created a perfect getaway. We arrived early on a Friday afternoon and were welcomed by Tim as we pulled up. He promptly gave us a tour of the House to welcome us. We stayed in the Salyards room, which was beautifully decorated just like the rest of the house and had great views of Lake Superior with plenty of windows. The breakfasts were a highlight of our stay both being 3 - 4 courses and a real foodies dream. 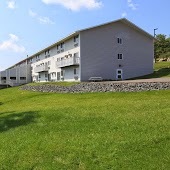 Both Tim and Angie were gracious hosts and were extremely knowledgeable of the Duluth area. We can't wait return.